We understand these modern residential masterpieces inside and out. We bring highly skilled craftsmanship, extensive experience, attention to detail and a sensitivity to design aesthetics to every Eichler project. 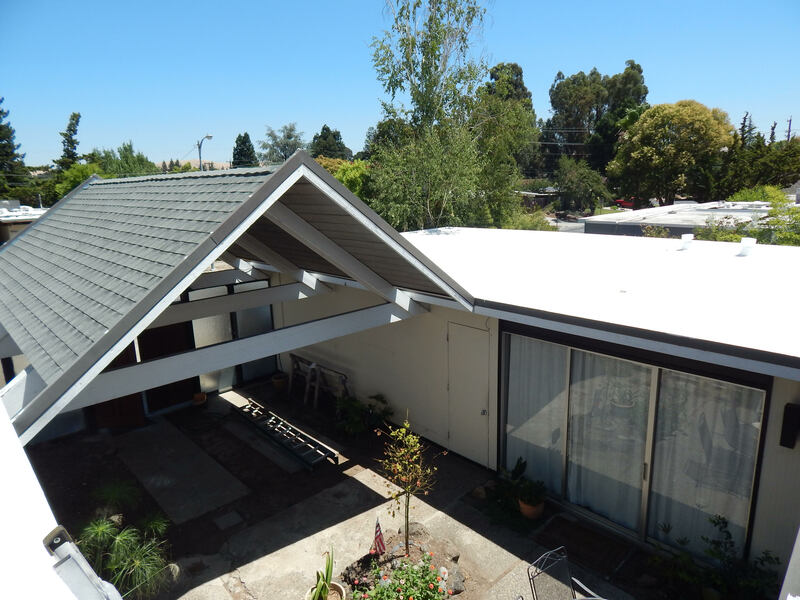 This A-Frame Eichler was a multifaceted project that called upon our full range of roofing skills: spray foam roofing, asphalt shingle roofing, and custom metal work. 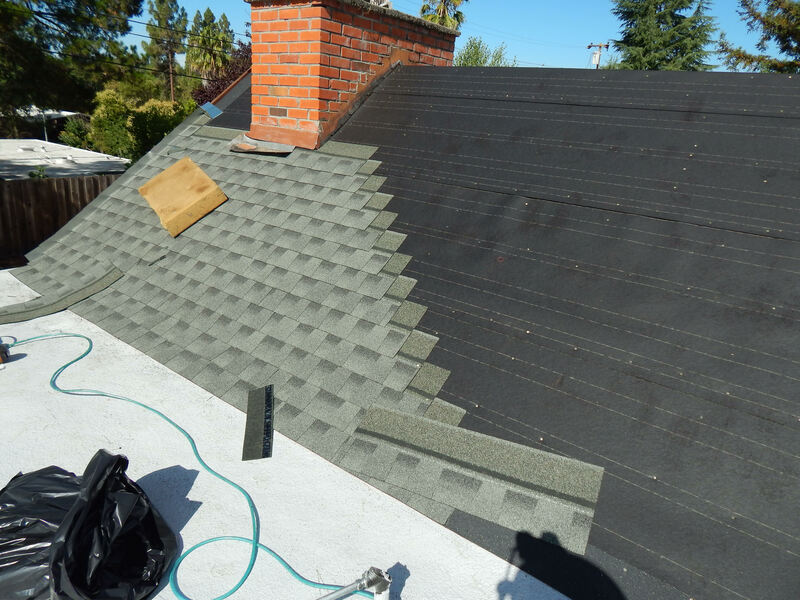 Because we always work with the same experienced and professional crew, we have the skills, the equipment, and the talent to coordinate those more challenging roofing projects. 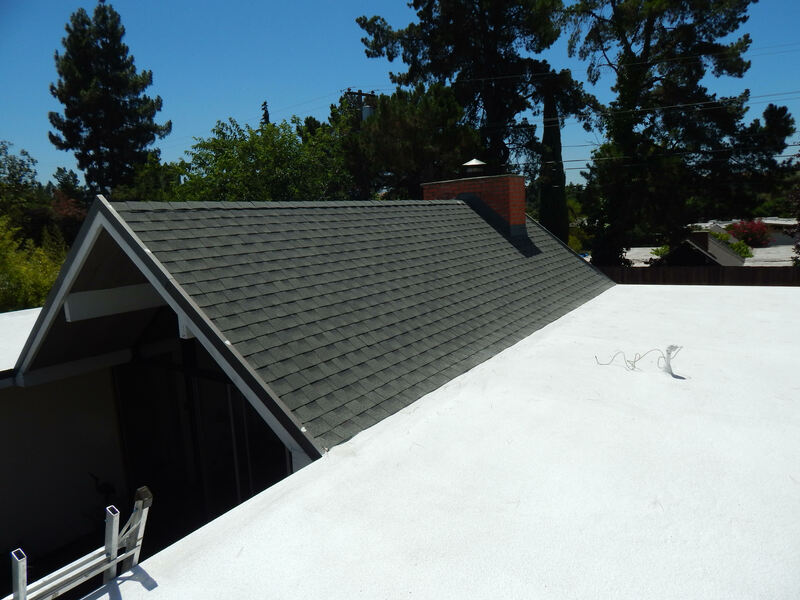 We specialize in Eichler roofs. 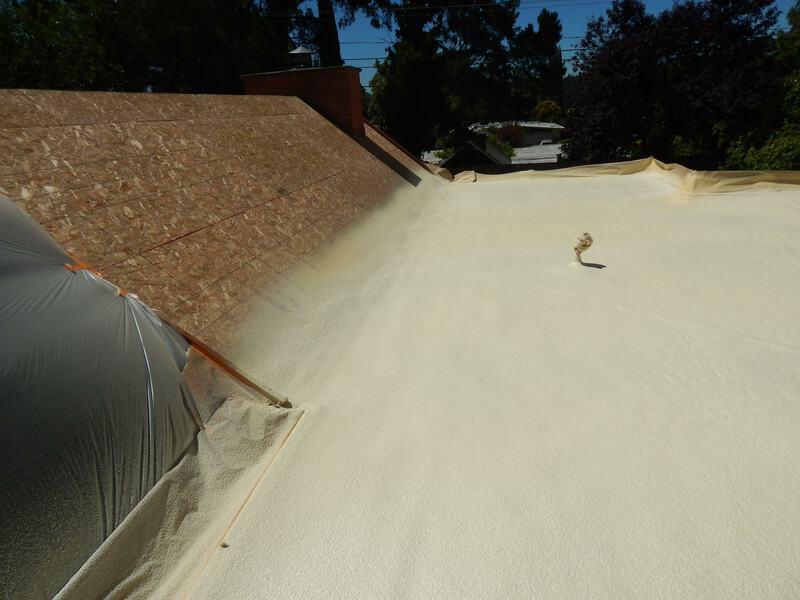 Not too long ago we took on a unique Eichler roofing project in Concord. 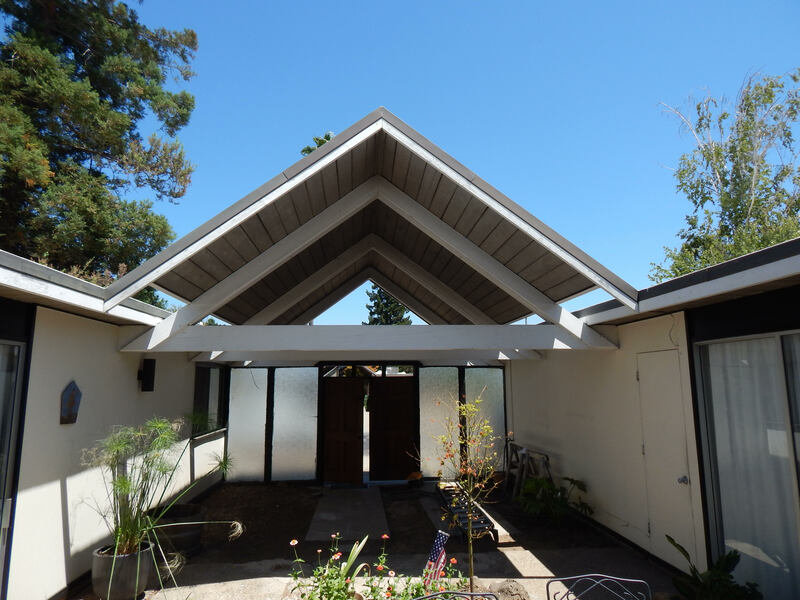 This home is what’s known as an A-Frame Eichler; it has a sloped roof in the middle and a flat roof on either side. 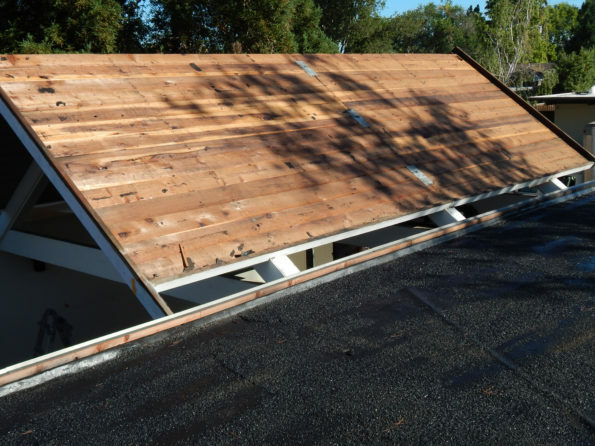 The sloped section had asphalt shingles, and the flat part had gravel. Some roofers only do shingled roofs, and some only do flat roofs; thankfully for this homeowner, we can do both. The sloped section of an A-Frame Eichler’s roof is more complicated than it seems. Usually, the front part covers a carport, and the rear section covers the living room. That was the case for this home. 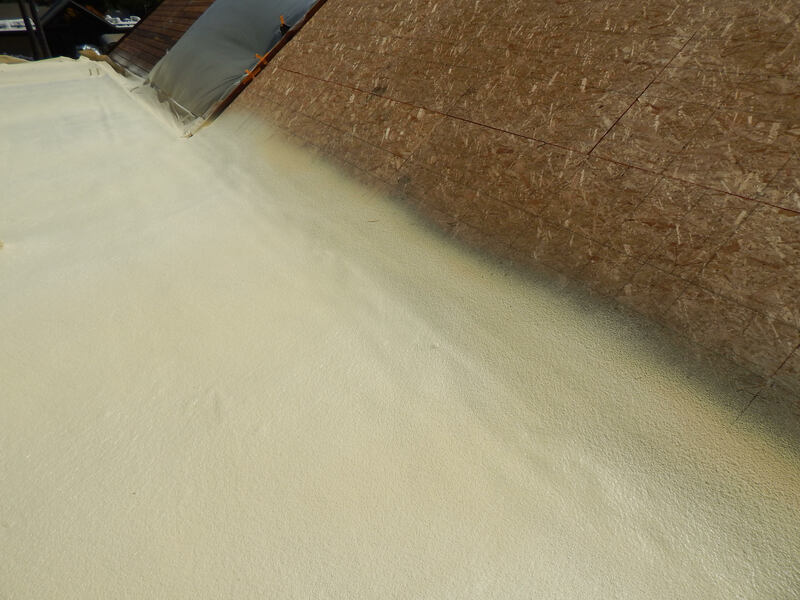 Eichler homes are notorious for their poor insulation. 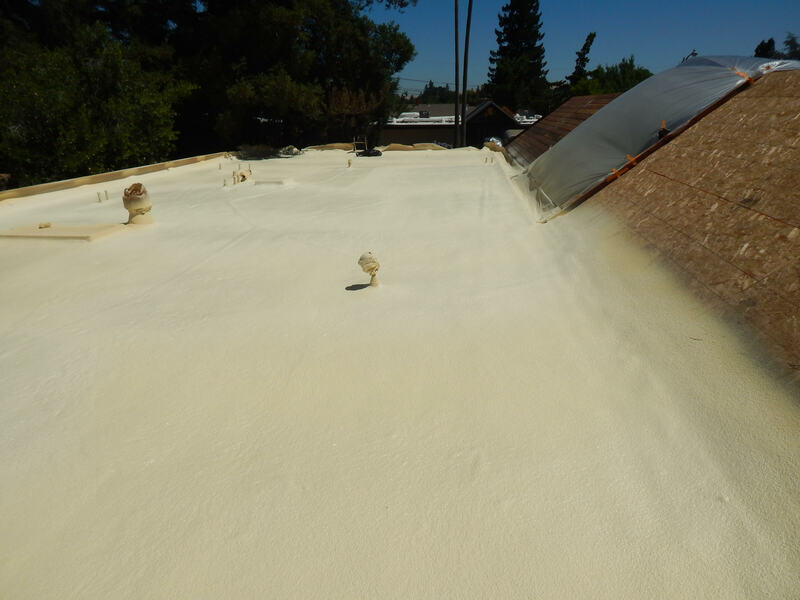 Spray foam can help lower temperatures in a home up to 15 degrees on a hot day, but the homeowner wanted the sloped areas of the roof insulated as well. 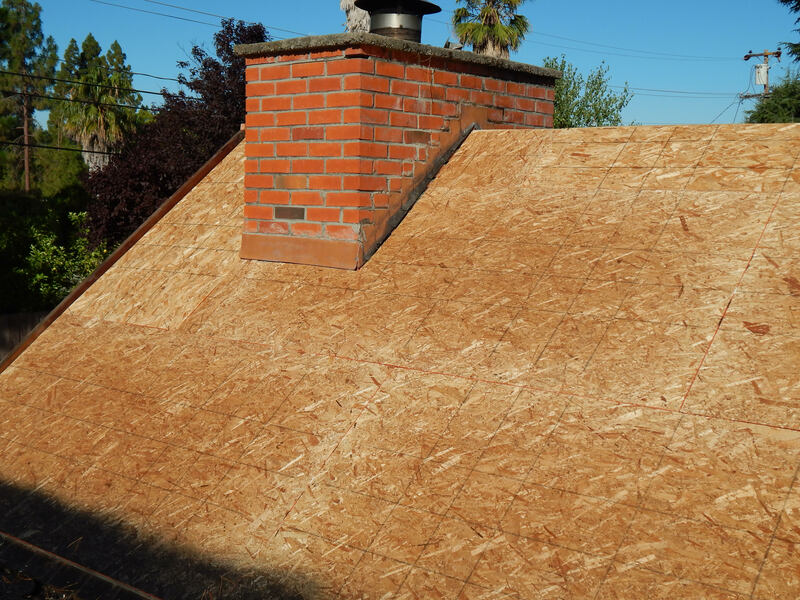 We placed insulation in the new roof and added a rigid insulation board just to the sloped regions over the living room, creating a roof that was more energy efficient and a home that was more comfortable. The centerpiece of this home is the atrium. 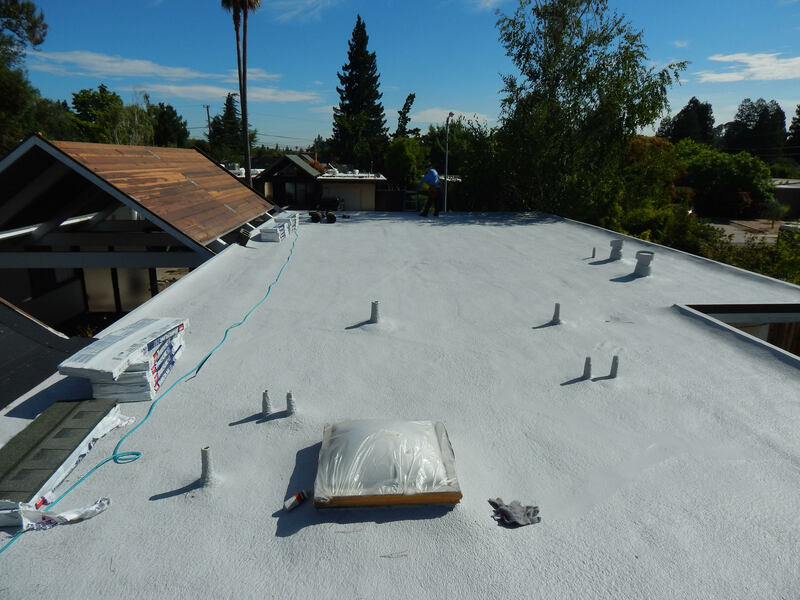 While we were replacing and improving the roof, we also added custom flashing to the atrium to help it stand out even more. Because we have a metal shop, we can create customized pieces to fit perfectly in our clients’ homes.